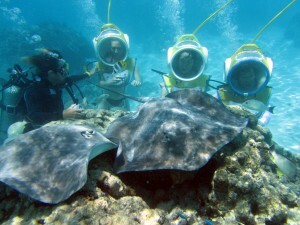 AquaBlue Moorea | Walk under the sea ! 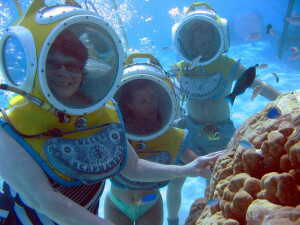 A unique excursion for everybody using funny yellow helmets to walk under water. Much simpler than snorkeling because there is no need to swim. It is a unique experience ! 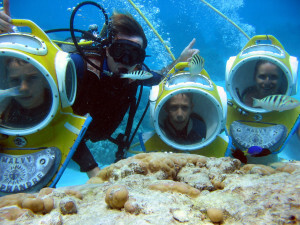 AQUABLUE is for everyone from 6 years who wish to explore the underwater world safely.